One of my most memorable drives on any road ever, is not in a $250,000 BMW M5, or a Honda Type R, or a Mercedes Benz AMG. 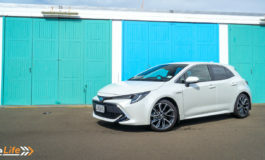 The year was 1986, and I drove a Hertz rental front-wheel drive Toyota Corolla 1.3 manual – the base model – from Auckland to Wellington. 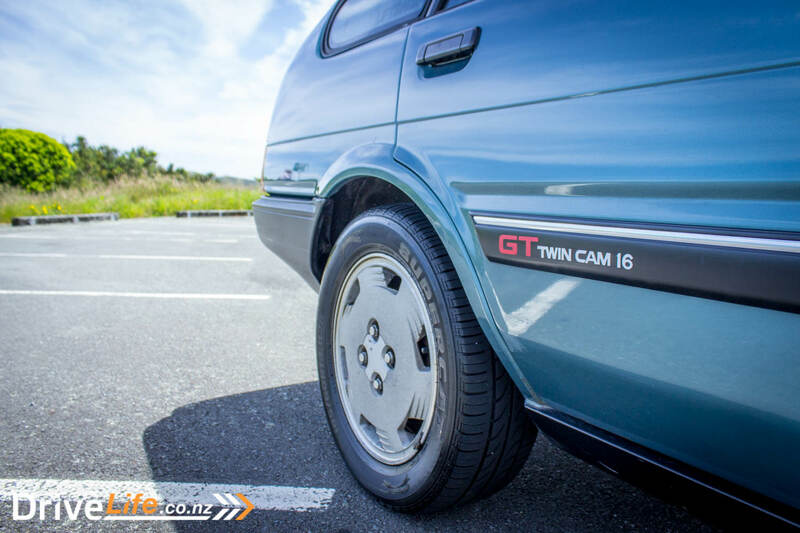 The best part of that trip was the road from Kihikihi to Mangakino in south Waikato – it starts off with long sweepers and plenty of straights, then turns into some gnarly, twisty bends – second gear stuff. It’s a road that really pushes any car, with on and off-camber corners, climbs and dips with corners everywhere. That little Corolla was unbelievable. It stuck to the road, and when it wasn’t stuck, it let me control it beautifully. The feedback from the steering was incredible. I still smile when I think of that one drive. Since then, I’ve driven quite a few tasty cars over that same road, yet none have equaled the fun I had that day in that little 1.3-litre Corolla. True story. Recently I found out that someone I knew had a 1986 Corolla GT Liftback. 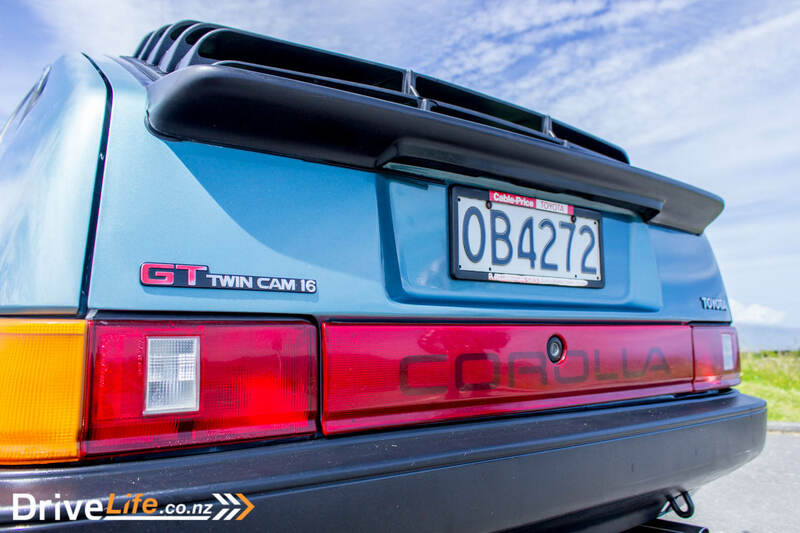 For those too young to know, the GT Corolla Liftback was made for one market in the world only – New Zealand – and only for two years, 1986-1988. 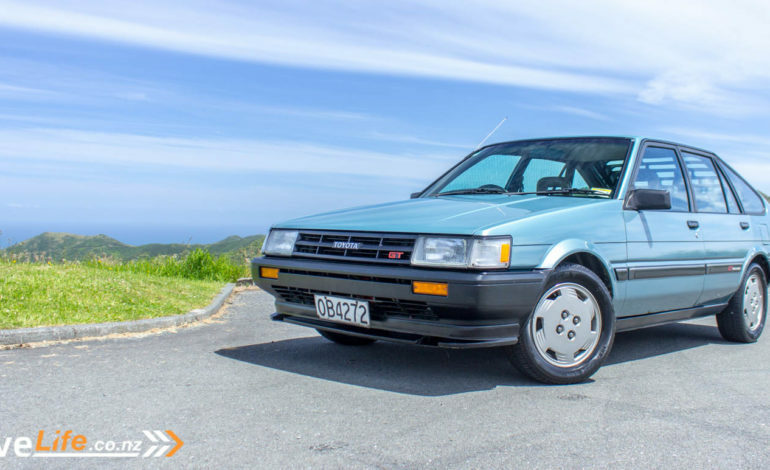 Sure, there was the Japan-built 3-door GT hatchback, and South Africa put the 4A-GE motor in the liftback body (and called it the Avante), but no one else in the world got the 5-door liftback body with the legendary twin-cam 4A-GE motor and called it a Corolla GT. Just 180 of these cars were built, mainly because of the cost; in 1986, they retailed at $38,000. For a new Corolla at that time, that was a whole heap of cash. Since then, many have rusted away, or been stolen/smashed up – no one knows exactly how many are left. The year was 1988, and Provin was searching for something to replace his Daily Driver. A friend stopped in to see him, driving a gold 5-door Corolla GT Liftback – a car that Provin didn’t even know had existed. 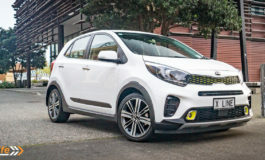 It ticked both his boxes – family friendly, and sporty. Just what he was looking for. So the hunt was on to find one. 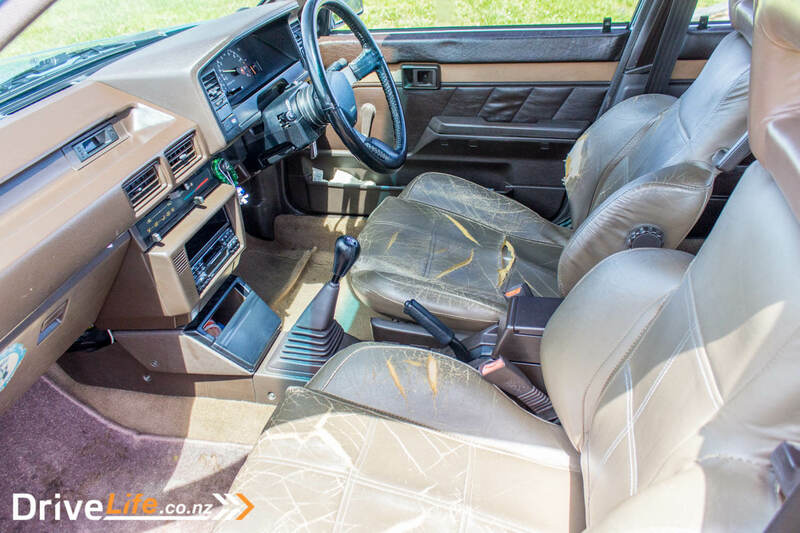 He searched local newspapers (this was 1988, people – no TradeMe Motors and no internet for the masses) and saw one advertised in the Dominion. 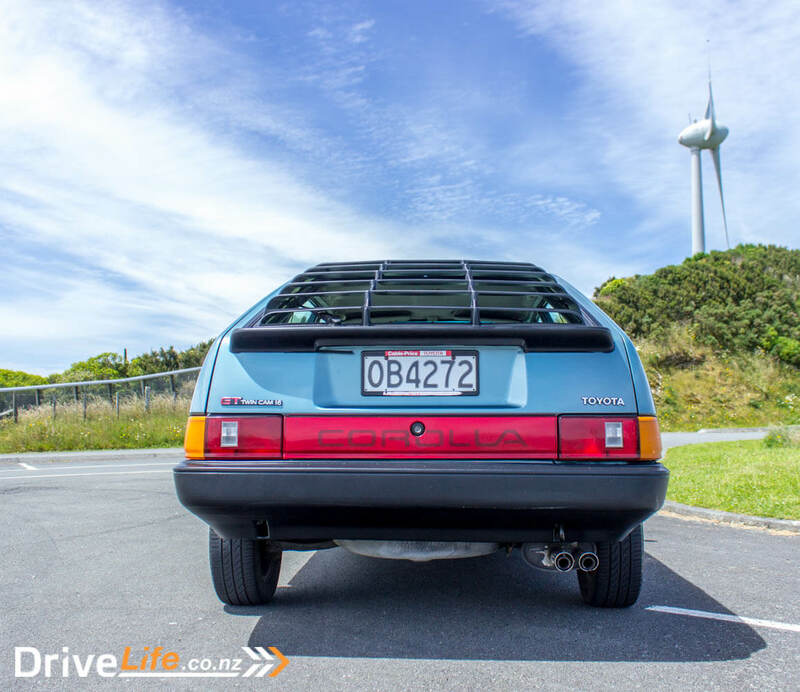 It was finished in Metallic Blue, was a 1986 model and was with the original owner – someone who worked for the Australian Embassy in Wellington. “I called the guy up and asked to go for a look at it,” says Provin, “and when I met him he looked at me and said ‘you aren’t driving it’.” Provin was a mechanic then, and obviously the overalls he was wearing didn’t project a man who could afford to buy the GT. But he did go for a ride, and then went money-hunting. And 31 years later? The GT has done now 277,000K, and either Provin or his wife drives it every single day, as can be seen by the wear and tear on the leather seats. Still, his wife refuses to drive an automatic so for the moment the GT is perfect. He hasn’t really had any problems with the car in all those KMs, except for a vacuum valve, and had to do a head gasket after the wrong anti-freeze got put in the car. In 31 years, he’s done normal maintenance things like wheel bearings, and shocks. His GT is not modified at all, it’s totally stock standard and that’s how he likes it. It was time to go for a drive. We pulled away with me driving, in search of a location to take some photos. Instant memories – the first front-wheel drive Corollas felt like a go-kart, and they still do. Low to the ground, fantastic steering feel – even in the suburban streets, and brakes that need a solid push. That 4A-GE engine, with its Yamaha-designed head, has a reputation as a bullet-proof motor that is smooth and willing – and it deserves that reputation. Even with maximum torque at 4,800rpm, the GT can glide along a 60km/h in 5th gear, and still accelerate smoothly. 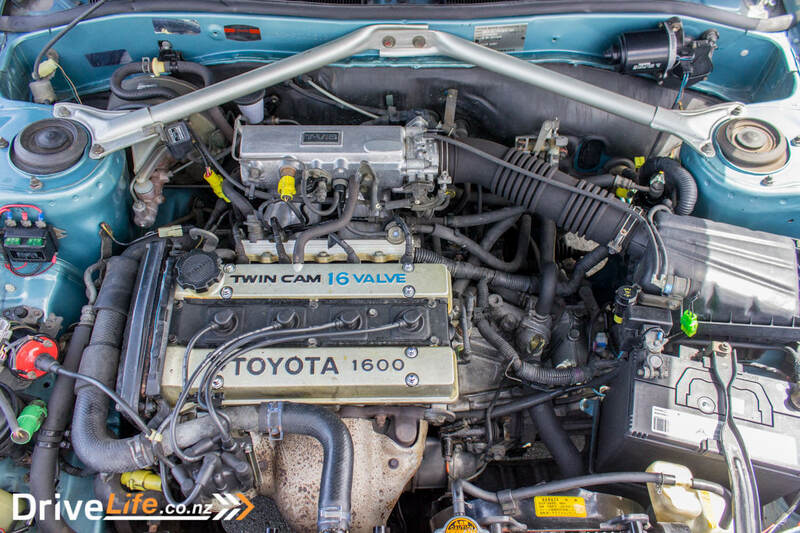 Provin’s GT has the first generation ‘Blue top’ 4A-GE motor, so it’s fitted with the T-VIS system, which means the intake manifold has dual intake runners and butterfly valves that open at 4,200rpm. The overall effect is better fuel atomisation and therefore better fuel efficiency. When new, this motor developed 88kW of power at 6,600rpm (it redlines at 7,500) and 131Nm of torque. But the numbers don’t talk about the character of the engine. It sounds good, it loves to rev and is incredibly smooth – truly one of the great engines of all time? I think so. The brakes, while needing a solid push compared to a modern car, are discs on all wheels, and will certainly pull you up when you want them to. I think we’ve all just gotten a bit soft with modern cars. 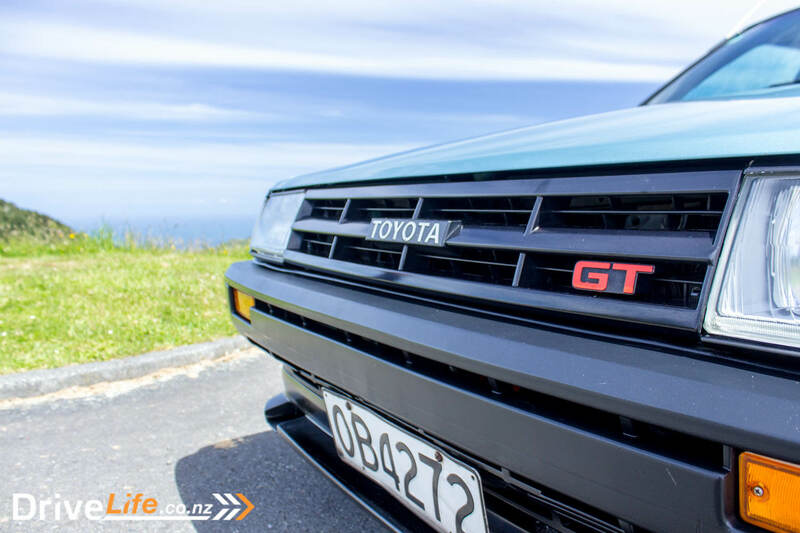 Finding an unmolested, genuine Corolla GT is bloody hard. Finding a 5-door GT Liftback that’s not been modified and has had only two owners? Ten times harder. 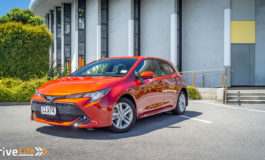 I remember these cars vaguely as a kid in Ireland, there was and still is a Toyota dealership in my (and JSG’s) hometown and while the sedan Corolla was always way more popular, there was one of these near my house. The rear has always fascinated me; I don’t think there’s ever been another car out there that’s placed the number plate above the rear lights! Thanks for the comment. I feel like the liftback has gone through a few phases with the shape, starting off with modern when it was launched, then went through decades of being a bit weird, and is now coming back into fashion. I love it!